FROM THE WALL STREET JOURNAL: "Nothing Mr. Gilder says or writes is ever delivered at anything less than the fullest philosophical decibel... Mr. Gilder sounds less like a tech guru than a poet, and his words tumble out in a romantic cascade." 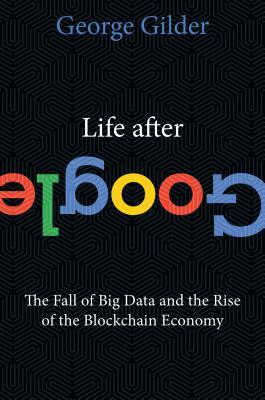 Life after Google is almost here. For fans of "Wealth and Poverty," "Knowledge and Power," and "The Scandal of Money." GEORGE GILDER, one of the leading economic and technological thinkers of the past forty years, is the author of nineteen books, including Wealth and Poverty, Life after Television, Knowledge and Power, and The Scandal of Money. A founding fellow of the Discovery Institute, where he began his study of information theory, and an influential venture investor, he lives with his wife in western Massachusetts.